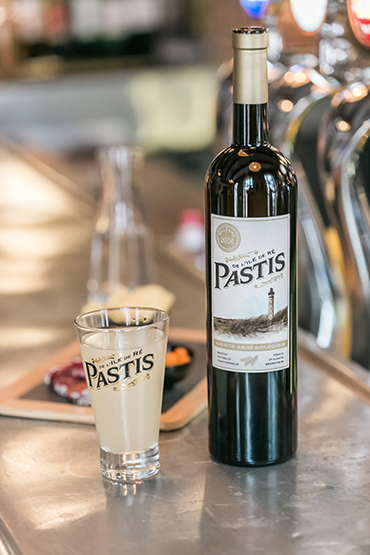 PASTIS DE L’ILE DE RÉ® is a harmonious blend of Atlantic flavors, in strict keeping with the very best traditional Pastis recipes. Rest assured that PASTIS DE L’ILE DE RÉ® meets each and every one of these regulatory requirements. 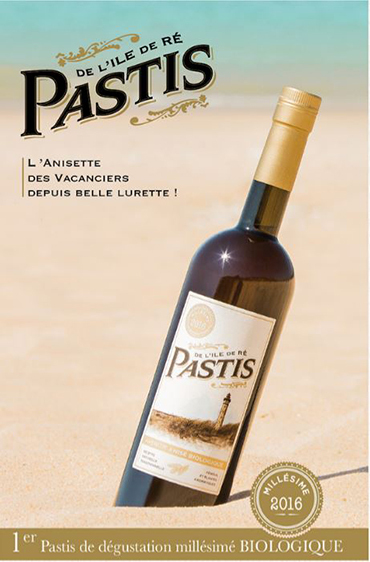 PASTIS DE L’ILE DE RÉ® contains 45% alcohol by volume. Let the waves of aniseed flavors crash over your taste buds. This golden-tinted nectar is the fruit of a meticulous combination of several locally cultivated herbs. When paired with licorice, the fennel (harvested in September on the salty Ré land, warmed by the sultry Indian summer sun) gives this exceptional aperitif its highly characteristic taste.